The way businesses manage reward has not adapted to changes in the employment relationship and the nature of work in the digital age. Reward is usually treated like a clock, as if it were predictable and easy to read. In reality, it is part of a large complex ecosystem-it is often like a thundercloud, dark, volatile, and difficult to understand. 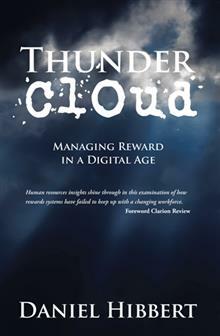 This book uses ideas from behavioural science to re-define the meaning of reward for the digital age. It explains how the intrinsic psychological rewards are just as important as pay and the other extrinsic rewards. It also shows how reward can easily become a psychological threat if it is not managed well. Reward needs to connect with the types of jobs people are doing and to regain its place as a central part of the way that people are managed. In the digital age employers need to be better at communicating reward and managing employee expectations. They also need to be very careful in linking reward with performance. The purpose of this book is to show that reward does not have to be a dark cloud. If managed with care, it can make a positive contribution to the employment relationship. Daniel Hibbert has over twenty years of experience in advising businesses on reward and performance. For most of this time he has worked with global professional services firms and now works as an independent consultant. He is a fellow of the Chartered Institute of Personnel and Development and previously qualified as an accountant and tax advisor. Daniel is giving away a $25 Gift Card! This giveaway begins January 30 and ends on February 10. Winners will be contacted via email on February 11.